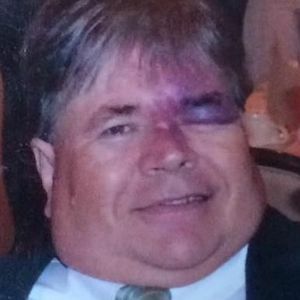 Timothy P. Fitzgerald, 65, of Manchester, died April 9, 2019, at his residence. Born in St. Stephen, New Brunswick, Canada, on February 11, 1954, he was the son of the late, Herbert P. and Elaine T. (Eagan) Fitzgerald. He was educated in Manchester and attended Central High School. Tim was an avid collector of watches and hats celebrating his favorite teams. He was a passionate follower of Boston sports, particularly the Bruins, and loved playing goaltender in youth hockey, along with his brothers and dad, for many years. Despite the lifelong challenges of Sturge Weber Syndrome, Tim remained as warm hearted as he was resilient. He had a salty Irish sense of humor and always found comfort and pride in his family. Above all, he will be remembered as a loving son, brother, nephew, uncle, cousin and friend. He was predeceased by both parents and one brother, David M. Fitzgerald in 1981. Family includes one sister, Ann L. Foley of Narragansett, RI; three brothers, Daniel P. Fitzgerald and wife Joan of Manchester, Kevin M. Fitzgerald and wife Marie Gross Fitzgerald of Bedford, and John H. Fitzgerald and partner, Holly Breault of Manchester; aunts, Dr. Ruth Eagan of Grand Falls, New Brunswick, Canada, Patricia Yardley of Calais, ME, and Sr. Judith Fitzgerald of Moncton, New Brunswick, Canada; uncle, David Eagan and wife Sharon of Grand Falls, New Brunswick, Canada; and several, cousins, nieces, and nephews. He was also predeceased by many aunts and uncles. A Mass of Christian Burial was celebrated on Friday, April 12, 2019 at St. Catherine of Siena Church, 225 Hemlock St, corner of Webster St., Manchester. Committal prayers followed in St. Joseph Cemetery, 448 Donald St., Bedford. In lieu of flowers, donations in Tim's memory may be made to: Sturge Weber Foundation, 12345 Jones Rd., Houston, TX 77070. Add your thoughts, prayers or a condolence to Timothy P.'s guestbook. Sturge Weber Foundation, 12345 Jones Rd., Houston, TX 77070.